I needed a break from everything yesterday, so I went and watched Venom. I like this poster best – less slimy, more grimy. Now, I am pretty neutral about Venom, the comic character – or maybe less than neutral: I think the character is bland, one-note and a product of the 90s best left in that era. I don’t mind the character, but I don’t find him very interesting, neither in concept nor in appearance. 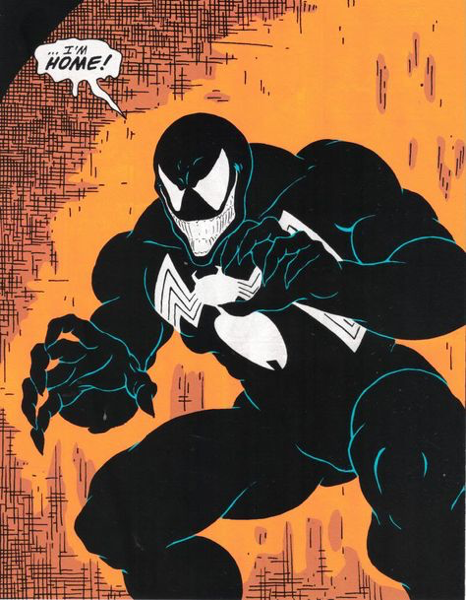 Now, in the first few appearances of Venom in the comics, it made sense to introduce him as an adversary to Spider-Man – we had the amazing black costume that Spider-Man had brought back from the Secret Wars, and after the symbiote was revealed as – well not necessarily evil, but creepy, and Spider-Man got rid of it, it was not unexpected that it would make another appearance. Imagine after 30 years of the same look – Spider-Man suddenly looks like THIS. As an aside: I thought, at that time, that it was a shame that they ended the black costume saga this way, as I really liked the design, and would have liked them to continue with it for bit longer. To my memory, it had been completely unprecedented that a major comic character so drastically changed their appearance, it was daring and exciting, and the reversion – first to a non-symbiote version of the costume, and then back to the old red and blue threads – was done too quickly, almost rushed for my taste. Since then Spider-Man has had almost a thousand different costumes (Spider-Armor? Iron Spider? Ben Reilly Spider-Man?) that it has lost all its novelty, but at that time, it was mind-blowing. Does not get more Todd McFarlaney than this. 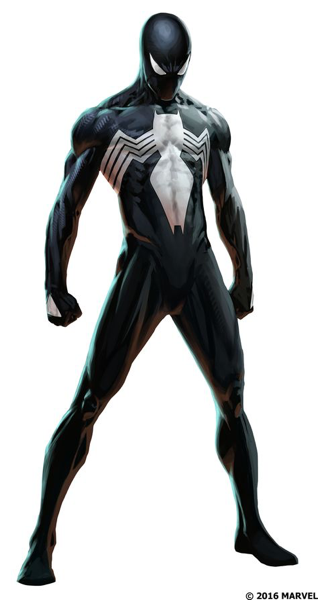 I did not mind the Todd McFarlane redesign of the symbiote costume (although it really only seemed to work within his own distinct art-style, and I felt it was glaring when the bulky, grinning design was the taken up by other artists – especially the long slimy tongue). I thought Eddie Brock – who I had never heard of before, and who was given a rushed origin and motivation to hate Spider-Man – was bland and one-note, and obviously had only been created to give the symbiote a host. Notably however, the initial design kept the costume as a, well, costume, although fluid and shadow-like. It was later, that the symbiote became all slimy and full of shape-shifting appendages and tentacles, which made it more like a blob like creature than a smooth and fluid suit. And then he had to become an anti-hero, and we got Carnage, and Toxyn and an entire planet of symbiotes, and we were officially in the 90s, and it was over-kill and uninteresting. I don’t even know who or what Venom is right now, and it does not matter. So I did not go into the movie with any big investment, and was not bothered too much by the changes – some of which worked, most of which didn’t. First of all, the movie is carried by Tom Hardy who is simply a great actor. I really liked him in Inception, and The Dark Knight Rises and Legend. He makes Eddie Brock, who in my view in the comics is just a plot-device, relatable and sympathetic. His back and forth with the Venom creature is entertaining, and we are interested in what happens to the character. Does anyone even know what is going on in this picture? But that’s it. I think the design of the creature was bland – which they could not do much about, as this is what the comic version is like these days. 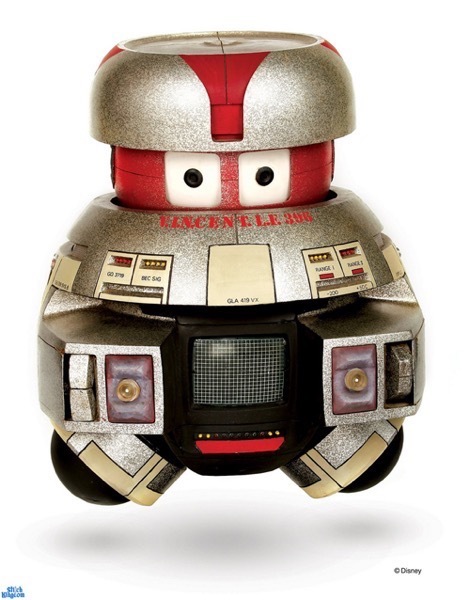 The CGI was actually – for a movie, which was completely reliant on good special effects – awful, and looked often fake. 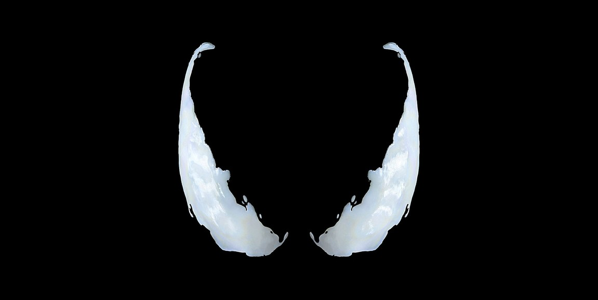 And the decision to completely cut out any reference to Spider-Man – and thereby being forced to remove the iconic white spider-emblem on the symbiote – was a mistake: without the emblem, design wise, the symbiote looks even more boring and is just a sludge of twirling black goo, with no distinct features except the eyes and mouth. And since the main antagonist looks exactly the same, the eventual big fight in the end is visually boring and difficult to follow. It does not help, that Tom Hardy is essentially not present through most of the fight, which again is due to the entire concept of the creature design and its inherent limitations. The idea to have four symbioses was interesting, but they did not do much with it. The antagonist – both the symbiote that escaped and slowly makes its way back to how-does-it-even-know-where, and the psychopathic industrialist – are utterly non-defined as characters, and therefore boring. And – we are calling the bad guy “Riot”. Really? But – despite all of this, the movie was entertaining and distracting. Not sure I’ll care enough to watch any sequel, and I do hope that they change their mind about bringing Spider-Man in, but I had a good time. Do you guys put “Quantum” in front of everything? Right – time for another movie review! Finally caught Ant-Man and The Wasp – the sequel to Ant-Man Without The Wasp aka Ant-Man – in the cinema this morning. Now there are a bunch of movies out right now, all of which I want to watch: Jurassic World II, The Incredibles II, The Meg, and loads of others. But there is simply not enough time these days – during the week I’m working, and than too shattered in the evenings to go anywhere, and on the weekends, I have either errands to run or meet up with some friends. So all of those movies are just there, taunting me from their billboards and cinema trailers and internet reviews, but I just can’t find the time or energy to go. I really enjoyed it – it was just perfect fun. The characters are endearing and the story – for a change – was not about The End Of All There Is or The Umpteenth Infinity Stone, but it had human stakes. And because I knew the characters and I cared for the, the stakes were high for me as well. And the actors were great – Paul Rudd, Evangeline Lilly and Michael Douglas were comfortable in their roles and utterly entertaining, but it was wonderful to see Michelle Pfeiffer again – she was just effortlessly charming, and although she only had a few scenes, she stole them all for me. But she was always my one and only Catwoman, so fo course I would think so. It is also funny – they changed things from the comics, partially drastically, and usually I should be annoyed at that. 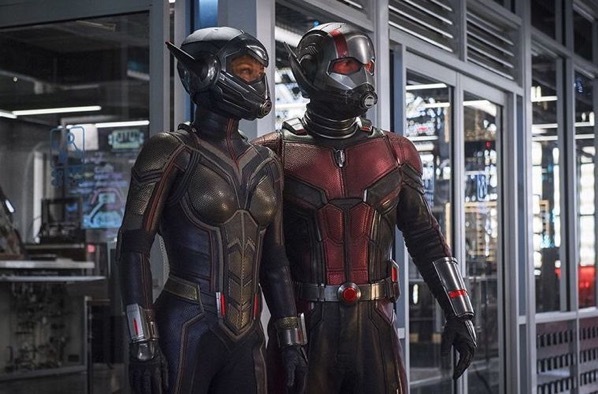 But it is just evident that the characters are respected and evolved to fit a bigger story, and – with the help of some stunning CGI – we still had Hank Pym and Janet Van Dyne as the Original Ant-Man and The Wasp, and they were heroic and inspiring, and I am happy. Just nice to see a good and entertaining movie. Just want to check if it works with Blogo as well. This is the final test post, promise! Well, let’s at least add a pretty picture! So the great guys at Machighway managed to fix the issue that stopped me from posting anything from my blog software – it took them a few weeks, and I was passed on from one support representative to the other for a while, but everything seems fine now. In the meantime, I have also – once more – changed my blog software – Desk.pm seems to have been silently discontinued, and Blogo just feels a bit un-Maclike in its GUI (although it does have the advantage that it runs on both MacOS and iOs, so I probably will keep it around). What do with all those test posts? I think they’re funny in their own silly way, but of course they clog up the timeline a bit. On the other hand, no one reads this stuff here anyway, apart from me, and it’s nice to see the history of this site. I think I’ll leave, until enough of my loyal spambots in the comments complain, and then I can hide the posts or something. Alright, bloggers, let’s do some blogging! Can I hope?! Does this thing work now?? Longest title I did ever. It seems that I only get two a day. My guess is this one doesn’t go through, if I counted right. Thought Experiment | Star Trek Into Darkness on Ironman 3 and the Mandarin – UPDATE: The lost post-credit scene revealed!